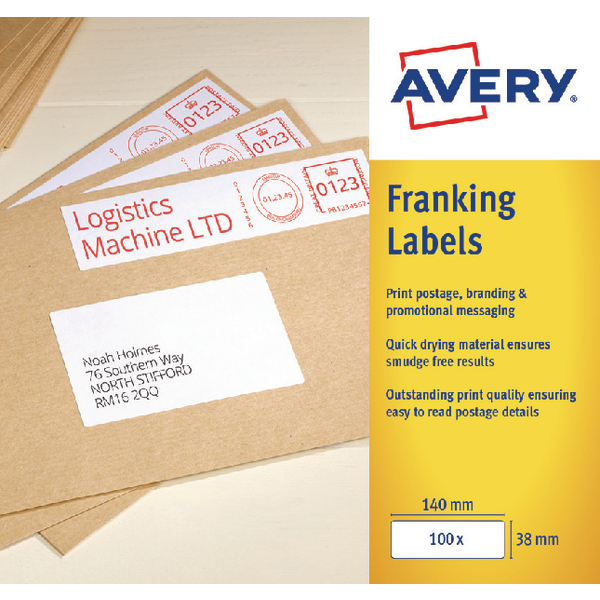 Print postage, branding and promotional messaging onto one postage label with Avery Franking Labels. 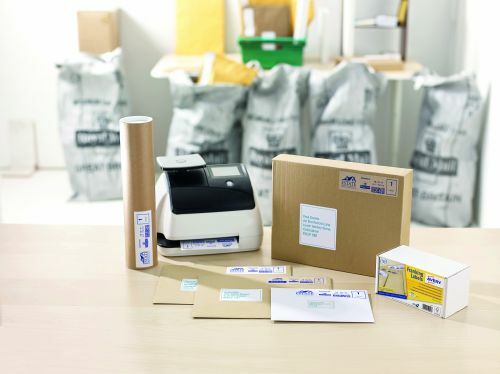 Strong adhesion ensures postage label stays stuck through the delivery process and outstanding print quality gives easy to read postage details. Made from high quality material this prints with a sharp image for a totally professional appearance. 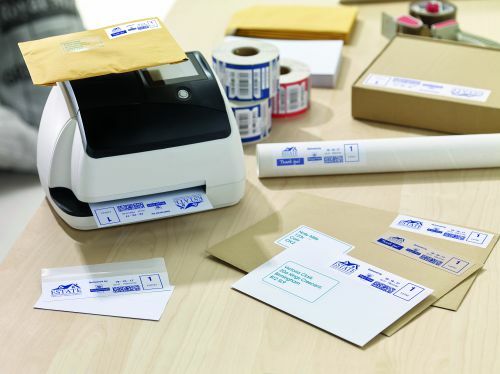 These automatic feed labels have been specifically designed to be compatible with franking machines taking 194 x 39mm labels. 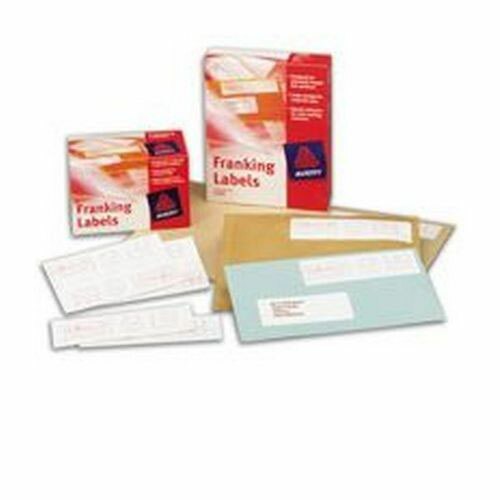 Made from a quick drying material allows immediate placement onto envelopes and parcel ensuring smudge free results.